Live at Monterey is a posthumous live album released on October 16, 2007. It contains Hendrix's performance with his band, The Jimi Hendrix Experience, at the 1967 Monterey Pop Festival. 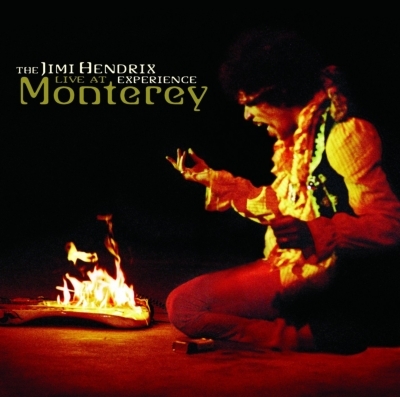 The album is similar to the Reprise release Jimi Plays Monterey, released in 1986. Eddie Kramer mixed this version. Virtually unknown to American audiences at the time, even though he was already an established entity in the UK, Hendrix and his two-piece Experience explode on stage, ripping through blues classics Rock Me Baby and Howlin' Wolf's Killing Floor, interpreting and electrifying Bob Dylan's Like a Rolling Stone, debuting songs from his yet-to-be-released first album and closing with the now historic sacrificing/burning of his guitar during an unhinged version of Wild Thing. Fortunately, tape decks and cameras were running to record the event.